This in-vehicle Driver Awareness Training course is carried out via our network of qualified expert driver trainers. SDTS Fleet adopts an interactive learning environment. Courses may take place in any location in the UK, in the vehicle the individual would use on company business. The session is not a test, so the trainer will concentrate on helping individuals to improve risk perception and decision making processes. SDTS Fleet’s training methods are ‘real world’ and hazard-perception based. To develop greater hazard awareness and risk perception skills. Reducing the driver’s vulnerability to accidents and the risk of personal injury or damage to the vehicle. To further examine specific areas of driving skill and address any areas of concern. Licence, eyesight and vehicle check. An introduction to safer driving and its benefits to the individual, the company and society in general. The system of vehicle control, including best fuel efficiency and environmental awareness. 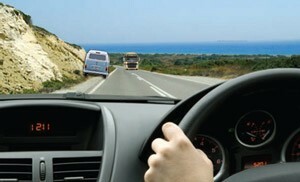 Specific solutions matched to the experience of the company – for example, manoeuvring, reversing and parking accidents. The principles of skid avoidance and skid correction. An assessment of each driver’s ability. A short demonstration by the trainer of instructional commentary, followed by student practice. Individual training for each driver, paying particular attention to any specific problems they may have. A comprehensive printed report for the company, submitted shortly after the course, which includes each individual’s personal development plan. A certificate of attendance for each trainee. Courses run for either a half day 1:1 training ratio or full day 2:1.